Selection of chromatography adsorbents and optimisation of chromatography conditions by screening methods has always been an integral part of protein purification process development. Traditionally, this was carried out in small laboratory scale columns which is a time, sample and buffer consuming process. Incremental improvements in these methods have resulted in the emergence of high-throughput screening tools providing fast, cost-effective methods for evaluating several parameters in a single experiment with reduced requirement for material and sample volumes. When this approach is combined with design of experiment (DoE), it provides a rapid means of identifying the optimal chromatography adsorbent and operating conditions which can be quickly verified and scaled up. 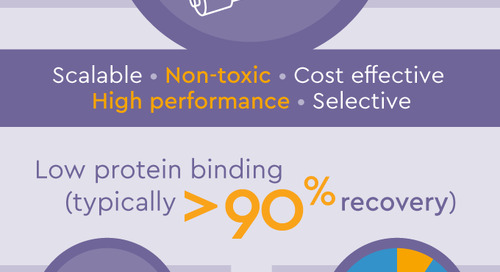 More recently, this approach has been combined with the use of multi-mode ligand libraries to develop processes for difficult to purify proteins (capture and polishing applications). 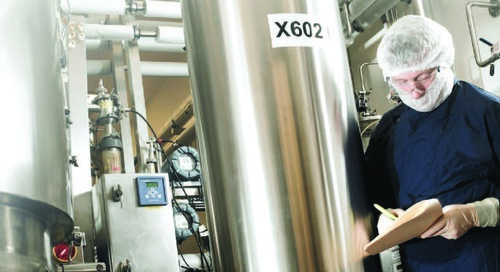 Speed-to-market is the most important factor for successful bio-pharmaceutical process development. 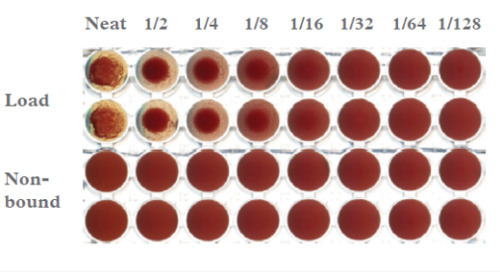 Upstream improvements in expression levels and the resulting increase in the product concentrations impact the downstream process development because of increased product related impurities, such as aggregates and truncated versions, which impact on product quality (efficacy and immunogenicity). Using traditional chromatography matrices (affinity, ion-exchange, hydrophobic interaction) can provide the required purification in most instances, however, under some certain conditions the required purity is not achieved. Consequently, the use of several different chromatographic steps is needed to achieve the required purity and yield. Protein purification steps are usually developed using packed chromatography and involves optimisation of several operating parameters, which can be time and material consuming activity. Over the years, newer rational methodologies, such as high throughput process development (HTPD), have been developed to provide more efficient tools which can be used to carry out chromatographic studies for the design of optimal protein purification processes. Such small-scale chromatography systems are now a component of protein purification development workflow, which allow the screening of large number of conditions in a short time with minimal sample and buffer consumption. This article reviews the past and current options for screening of chromatography adsorbents for downstream process development and the use of emergent mixed mode ligand adsorbents for improved adsorbent selectivity for specific targets (product or impurity). The ability to screen chromatography adsorbents and conditions in parallel can provide considerable time-saving as well as resultant lower sample and reagent use. In recognising this, Prometic Bioseparations (then, Affinity Chromatography Ltd) introduced the first device for parallel evaluation of multiple chromatography adsorbents packed into discreet columns – the PIKSI® Kit (Protein Isolation Kit for Sorbent Identification). 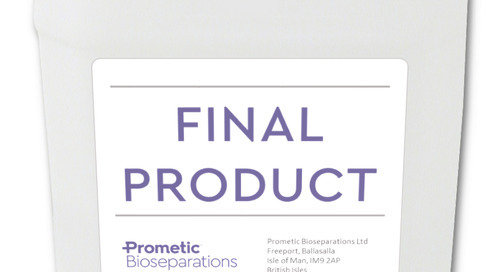 The advantages of such screening kits are the ability to rapidly identify suitable adsorbents for the purification of target protein molecule in a single experiment followed by further optimisation of binding and elution conditions for the selected adsorbent. The highly versatile PIKSI® module launched in 1989, was comprised of an integrated unit containing 1ml gravity columns of ten different Mimetic Ligand™ adsorbents, an integral buffer reservoir, and a detachable fraction collection rack. 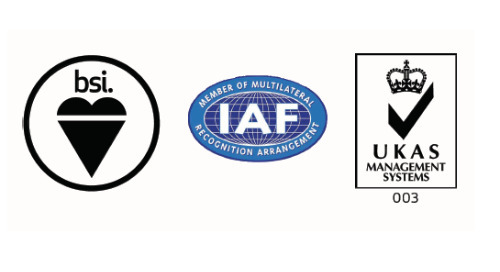 Ideal for use when access to sophisticated instrumentation is not possible. 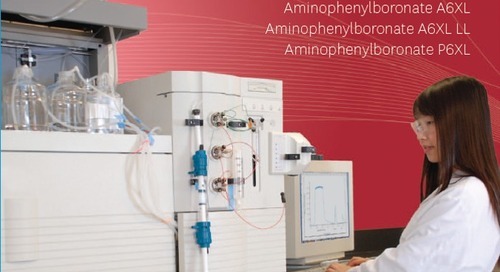 This was followed with a range of convenient Mimetic Ligand adsorbent screening kits, designed to eliminate the arduous task of developing an optimized chromatographic procedure for protein purification without any prior knowledge of the physico-chemical properties of the molecules (e.g. 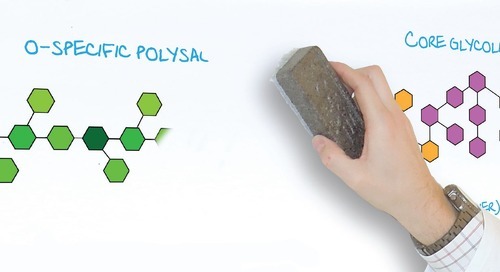 isoelectric point, molecular weight, hydrophobicity, ligand specificity). Mimetic Ligand Screening Column Kit was developed and launched during early 1990’s. 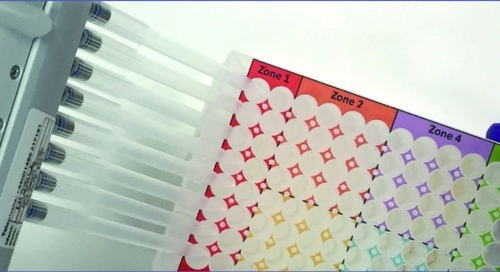 This kit comprised of 1 ml pre-packed columns of Mimetic Ligand and other off-the-shelf adsorbents are suitable for attachment to automated chromatography work stations. 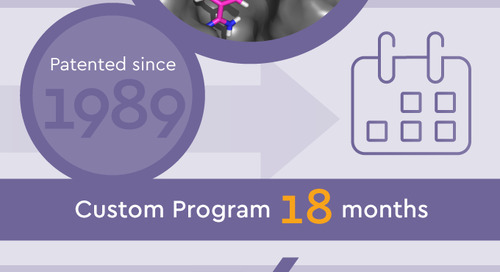 During early 1990’s, PBL developed the PuraPlate™, a high throughput screening block format for screening of Chemical Combinatorial Libraries™ for both internal and client sponsored ligand discovery programmes. The approach combined the screening of synthetic chemical ligand libraries with a rational ligand design approach to provide customised affinity adsorbents for use in the production of therapeutic biopharmaceuticals. These screening blocks consist of 96 array mini-columns, each containing discreet synthetic chemical ligand coupled to an agarose base matrix, which are screened in the flow mode i.e. 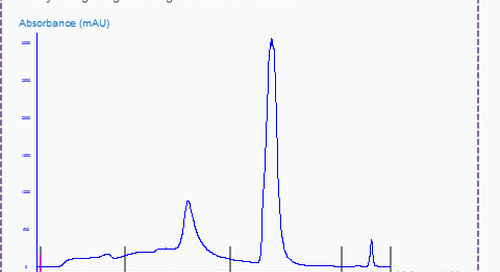 in a bind, wash and elute manner as used in affinity chromatography. Thus, the work performed is same as chromatography columns. PBL released a range of PuraPlate products which were available with a wide range of catalogue adsorbents, making it possible to screen an array of adsorbents against many samples, under a diverse range of conditions, in the fastest possible time. High Throughput Process Development (HTPD) has now been widely adopted across the industry with all chromatography adsorbent vendors now offering both traditional chromatography adsorbents (affinity, ion-exchange and HIC) and novel adsorbents packed into appropriate screening formats (screening plates and miniaturized packed columns). 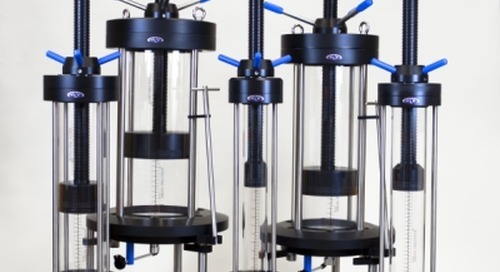 These kits can either be used on robotic liquid handling workstations for fully automated or manual parallel screening for chromatography adsorbents selection and process development. Parallel purification development, using these kits, allows the selection of the most suitable chromatography adsorbent and purification conditions such as adsorbent (with different ligands) and buffer conditions (pH, ionic strength and modality modifiers) for each step of the purification (equilibration, loading, washing, elution and clean-in-place). 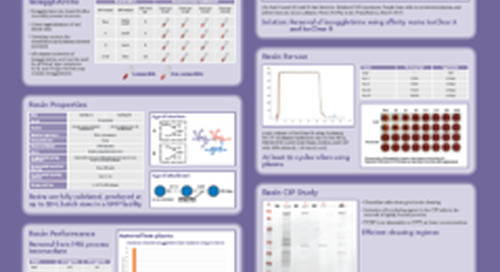 This approach to protein purification process development combines the knowledge of the properties of proteins present in the starting material with experimental determination of critical parameters that influence the chromatographic performance. Careful planning of the work or Design of Experiment (DoE) allows for screening of two or more variables at the same time to generate the required data for detailed analysis. Based on the information generated, models can be developed to understand the impact of the different variables and used for the optimal process. Following this, the selected conditions are verified in small laboratory scale column and finally scale-up to the production scale. Typically, multiple traditional chromatography adsorbents are screened during the initial phase of process development to determine optimal adsorbents, purification sequence and chromatography conditions. Mode of separations and types of chromatography adsorbents screened are summarised below. Multi-mode chromatography adsorbents provide multiple interactions between ligand and bio-molecules in the sample. Thus, these types of alternative adsorbents can be uniquely designed to provide novel selectivity for specific targets resulting in improved processes. 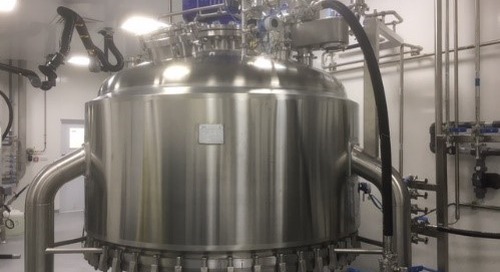 For example, they can be used where higher salt tolerance is required for capture of the target protein or for specific removal of impurities such as host cell proteins, product related impurities and truncated versions, DNA or viruses. Due to the multiple nature of interaction in multi-mode chromatography, the conditions required for binding and elution of the target proteins are difficult to predict at the beginning. Consequently, it is important that all available multi-mode chromatography adsorbents are screened for the required application for optimal process development. Design of Experiment (D0E) is used to determine the best adsorbent/s and optimal purification conditions for difficult to purify proteins. However, most chromatography vendors only provide a limited number of these types of adsorbents. 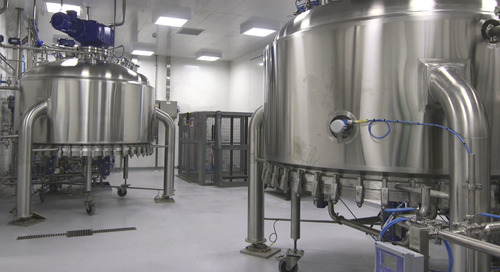 To overcome these deficiencies, Prometic Bioseparations Ltd (PBL) have developed a diverse library of Multi-Mode Mimetic Ligands™ which incorporate both ionic and hydrophobic groups and which offer significant flexibility in use. The Multi-Mode Mimetic Ligand Library is organised into a 12 x 8 array micro-column block and comprises a diverse array of ligands with a broad spread of charge, hydrophobic and hydrophilic functionalities. The adsorbents are produced using an agarose support matrix, and incorporate triazine attachment chemistry for ease of synthesis and superior stability. Screening can be performed in high-throughput mode using robotic liquid handling systems or by use of conventional hand-held multi-channel pipettes. This approach allows for rapid screening, and identification of potential ligands for a specific target. 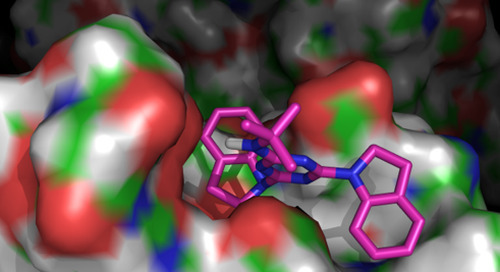 Furthermore, adjustment of the starting protein fraction to suit individual ligands is not required as the diversity of the library enables the identification of binding ligands which are best-suited to the existing conditions and impurities. This approach has been evaluated in a variety of applications, including development of ligands for isolation of specific proteins from complex mixtures and the removal of specific contaminants.